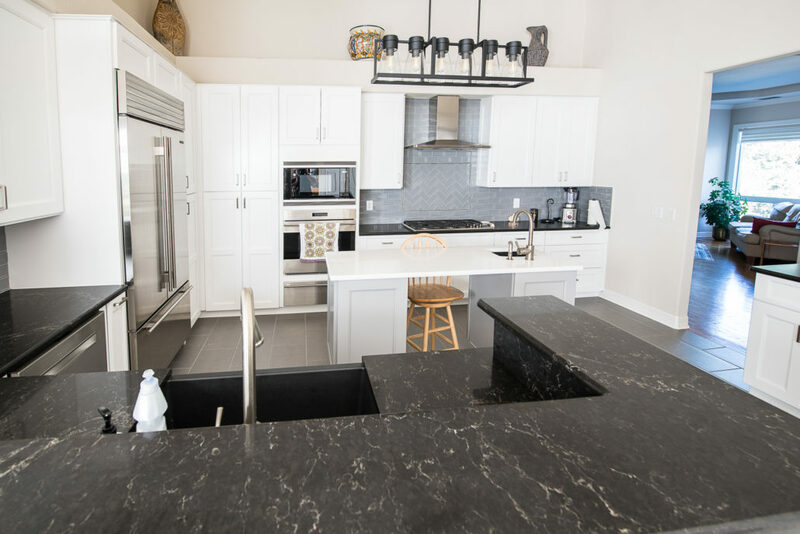 Planning and completing any home improvement project can be exciting and rewarding, but there’s nothing quite like performing a walk through when you’re signing off on a brand-new kitchen. Your kitchen is the activity hub of your home, where the family comes together at the beginning and end of every day, and where you’ll perfectly execute your plans whenever you are entertaining family and friends. Having a comfortable, beautiful, and functional kitchen is essential, which is why you need to plan things carefully when you are getting ready for a kitchen remodel in Austin TX. Working with a team of professionals can keep things on track and ensure that your initial concept is fully realized, and knowing the most common remodeling mistakes can keep you grounded throughout the entire process. Kitchen appliances add functionality and convenience to a kitchen. In many cases the appliances you choose can be genuinely beautiful. However, it’s important not to overthink your appliances at the beginning of the project. Your only concern should be making sure you’ve planned for enough space for any of the major appliances that you want to install. Modern kitchen appliances are typically limited when it comes to style and finishing options. Stainless steel is undoubtedly the most popular choice, and it’s a material that can work with almost any kitchen aesthetic. There are also other specialty finishes such as white and colored enamel, or paneled finishes that match your kitchen design. It doesn’t always hurt to have a basic idea of your appliances first, but you shouldn’t let them dictate the style of your kitchen. It’s much easier to find attractive large appliances that complement your design theme, rather than doing things the other way around. When beginning a kitchen remodel project in Austin TX., it’s easy to get excited about cabinets and countertops, which can take some of the focus away from deciding on an efficient and practical floor plan. • 48” is the ideal amount of comfortable space between a counter and a kitchen island. • Overhead cabinets are typically 12” in depth, whereas countertop depth should be at least 25”. • Comfortable counter height is typically 36”, although this can vary depending on your personal needs. These are guidelines, and your unique situation may call for different measurements, depending on the floor plan layout and design of your cabinets and counters. The point is to not overlook dimensions and comfort when you are planning the aesthetics. If we’re realistic, the majority all kitchen remodel projects are completed within the confines of a fairly strict budget. Although you may have allocated slightly more than your initial budget for unplanned expenses, a successful remodel will be one that remains within your range of affordability. Ignoring your plumbing needs is one way that you can go significantly over budget. Whenever possible, design a kitchen based around your existing water and gas plumbing. Modifications (particularly in older homes) can lead to excessive cost and could even delay the completion of your kitchen. Your kitchen doesn’t exist in a bubble. It needs to seamlessly integrate with the rest of your home, both in style and atmosphere. Harsh changes in design philosophy will break up the flow of your home, and an unmatched kitchen will leave you feeling disappointed upon the completion of your project. Contemporary kitchens aren’t likely to work in homes that are traditionally styled and decorated, and the reverse is also true. Transitional styles can be made to work, and if you want to incorporate elements of style from a range of time periods, then a professional kitchen remodeling team can help you to achieve this without creating clashes. Some remodelers leave it until the very end of the project to start buying fixtures and hardware. This is one of the worst mistakes you can make, because it ultimately leads to cutting corners and choosing items that fit the budget rather than the needs of the kitchen. Choose fixtures early in the planning process, but don’t get too sidetracked by your selections. The great thing about fixtures is that it’s relatively affordable to get high quality solid brass, stainless steel, chrome, and even gold tint fixtures and hardware. Sometimes the difference between an average piece of hardware and a high quality one is as little as $40 – $80, so considering these early in the project can ensure you get the best, without the cost coming as a surprise at the end. Planning a kitchen takes time and care, and it’s easy to make mistakes if it’s your first time remodeling. Working with a kitchen designer and installation team will eliminate the risk of mistakes and setbacks during your kitchen remodel, and you’ll gain benefits like having a project manager, trusted contractors for installation, and access to the very best kitchen product lines that will allow you to choose the materials, hardware, and fixtures that will turn your kitchen into something truly special. Kitchen Central can turn your vision of a dream kitchen into reality, always focusing on your needs and concept. For a kitchen that reflects your sense of style and meets the needs of your family, trust in a team that consistently delivers the best Kitchen Remodels in Austin TX.